It can be tough keeping up with what kids are interested in playing with from year to year - especially in the younger years from age 3-7 when they change so drastically from one year to the next! Here are a few gift ideas for Christmas 2017 to give you a little head start on the season. A whimsical ice cream cart that is fun for "make believe" role-play, as well as learning flavors, colors, and numbers. These are the sweetest little sleeping bags that your 3-year-old can use and grow into for several years. You can choose from a zebra, fox, dinosaur, penguin, or puppy. Perfect for overnights at the grandparents, or camping out in the living room. From Box Creations, the Kardboard Kingdom is an easy to assemble playhouse made of cardboard. Complete with tunnels, a courtyard, and interior play space, this is the perfect gift for a wild imagination. These little backpacks are not only totally adorable, but are a great way to allow your kids to express their individuality. There are dozens of different ones to choose from, and will make packing up for school and car trips a little bit more fun. We all love a good playdough session, and Eco Dough brings all of the fun with less of the chemicals. Made from natural ingredients, which are better for the environment, and better for the kids to be handling! These little monkeys help teach young kids how to care for a pet and be a good friend. They are interactive, and respond to being rocked to sleep, hung upside down, talked to, and pet! Good for little animal lovers. Including a variety of different animals and monsters, these hand tattoos are a fun twist on the traditional temporary tattoo. Perfect for a sleepover or kid's party. Easy to apply and non-toxic. Bring the fun of Build-A-Bear Workshop home! The kit includes materials for 2 "furry friends" with accessories, t-shirts, birth certificates, and easy instructions. FurReal pets are one of the biggest trends in kid's toys in 2017! The pets are interactive, and have different sounds as well as sound-motion combinations. These toys are perfect for teaching children how to care for and take care of a pet. Hatchimals are "collEGGtible" little critters that hatch from an egg! So it is a fun surprise finding out which hatchimal you get each time. The hatchimal "world" has a lot of additional activities, including coloring book downloads, activity books, and videos and games online. 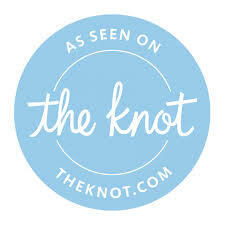 We've heard of subscription boxes for adults (Stitch Fix, Birchbox, Le Tote, etc.) but this is a uniquely crafted box for kids! The Kiwi Crate is for ages 5-8 and encourages STEAM (Science, Engineering, Art, Math) learning, creativity, and exploration. Each box comes with a "Maker Project," Creative Learning Materials, an "explore!" Magazine, and Online DIY Ideas. This visual garden, let's your little gardner plant root vegetables and watch them grow. Fun and educational, they'll learn how to plant, water, and pick the vegetables! Kids love taking photos - we know this from our maxed out storage on our iPhones! - and this vtech camera is made for kids, allowing them to take videos and photos and get creative. It comes with a USB cord, so you can upload and share with family and friends. This game will bring out your kids' wildest imagination and creativity - and it's fun for adults too, so it's the perfect game to play during family night. You roll the rice, which have different icons on them, and create imaginative stories based on the characters and things you roll. We're in the age of "Selfie's" and we might as well embrace it! This app/music set combo allows the kids to connect a microphone and selfie stick to a phone, and record themselves singing and rocking out! Perfect for the musically-inclined to explore their talents and break out of their shell. While we may still have a few 90-degree days here and there, that doesn't mean we have to miss out on all of the fall fun. Not only are there loads of events happening in Charleston this season, but most of them are appropriate and enjoyable for all ages. So swap out the beach towels for a pumpkin-carving kit, and get ready to enjoy the season! This Charleston favorite is so much more than just a pumpkin patch. Boone Hall is completely transformed during the month of October with a corn maze, jump pillow, giant slide tower, hayride, spider web "rope" attraction, rock climbing wall, corn hole toss, a goat walk, and a rabbit enclosure. Spend the day enjoying all of the attractions, and then take your pumpkins home for painting or carving! Tickets are $10 (free for 3 and under). This is the perfect evening for any little ocean-lovers, and a fun option for doing something a bit different this year. 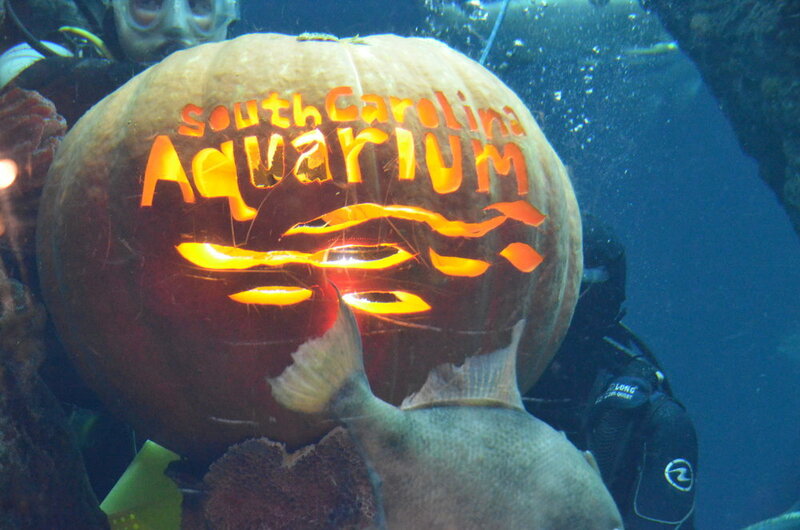 On October 23 and 31st the aquarium gets a SpOoKy makeover! Guests are encouraged to wear costumes, and there will be music, games, and festive exhibits. To top it off, there is an "Underwater Pumpkin Carving Contest" where guests get to judge which diver has the best carved pumpkin in the Great Ocean Tank. We sure do love our festivals here in Charleston - and what's not to love? Food trucks, live music, arts and crafts. Add some crisp autumn weather and a light sweater and we are good to go. Check out any of these kid-friendly festivals going on this fall! Not only is the West Farm corn maze a blast for the whole family, each year they raise money and awareness for a different cause. This year they are celebrating Pet Adoption Agencies and will host adoption events and raise funds for different organizations throughout the season. The farm is home to a 2.8 mile corn maze (a .3 mile maze for the younger kids), a pumpkin barn, a hay-bale maze, tire climb, farm zoo, hay ride, apple slingshot, and snack bar/picnic area with different food vendors and trucks. If you are looking for something festive and spooky without being too scary for young kids, this is the perfect event. With a "haunted" hayride, hay-bale maze, pony rides, face-painting, crafts, children's games, and a family photo booth - you'll find plenty to do. Friday and Saturday, Oct. 20, 21, 27 and 28. Tickets are $10, and free for children 6 and under!